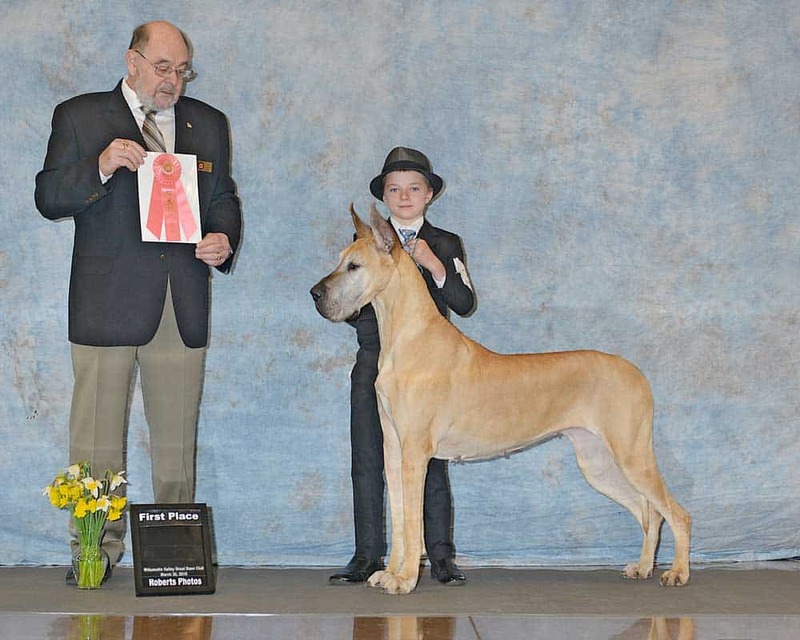 The WVGDC Specialty Great Dane show is a wonderful opportunity for people interested in seeing Great Danes and meeting Great Dane Breeders. On Friday, March 30, 2018, Great Dane breeders from Canada, Oregon, Washington, Idaho, Montana and California will be showing their Great Danes. We have two shows with between 50-60 Great Danes of all ages. We'll have puppies as young as 6 months old and veterans up to 10 years old. There will be Danes that are examples of most of the Great Dane showable colors. Friday is the first day of the 3 day show weekend. If you can't make the show on Friday, Great Danes will be showing on Saturday and Sunday. We won't know what times Great Danes will show on Saturday and Sunday until about a week prior to the show. Check back here during that week to find out when Danes will be showing on Saturday & Sunday.